Whether it’s a pick-pocket on the streets of a major European city or the threat of a rebel group in a hostile environment, security incidents can happen anytime, anywhere. Our bespoke programme of modular training sessions are designed to give attendees a comprehensive understanding of the risk environment they may face, the means of mitigating those risks and how to respond in the event of an incident. Employers across the world have a responsibility to ensure their staff are prepared and educated about the risks they may face while travelling abroad. Unfamiliar environments, differing employee profiles and the physical effects of travel can place your staff at a greater risk than they might face in their own country. Healix security training helps you fulfil your ‘Duty of Care’, ensuring your staff are equipped with the tools required to carry out their trip, assignment or relocation in safety and with confidence. E-learning – Our award-winning e-learning course consists of a series of security training videos across seven modules, each designed to ensure that your employees are aware of safety measures they should take while abroad. Each module concludes with a multiple choice test. A certificate is issued once all seven modules have been satisfactorily completed. Whether in the classroom or practising real-life scenarios, our training sessions are tailored to your needs – taking into consideration your organisation’s industry, location and risk appetite. Sessions can be tailored to focus on up-to-date specific risks localised to a suburb, commercial site or residential address. Our instructors are highly qualified security professionals selected for their expertise in your country or region of interest. Our kidnapping, terrorism and/or hostile environment training instructors have specific skills and experience relating to these issues. All our trainers are Healix ‘Deployable Consultants’, so their experience and advice is regularly put into practice whilst travelling on assistance and consultancy tasks. 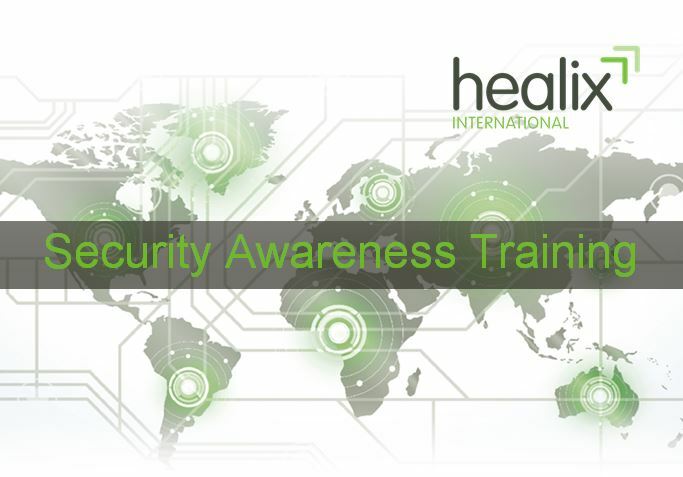 For clients subscribing to the Healix Global Security Operations Centre (GSOC) training can also be used as an opportunity for your staff to learn about the full extent of the GSOC services and how to make the most of your subscription. Three scenarios to illustrate how effective security training is key to keeping your people safe and your assets secure.